We all have sweet treats we just can’t live without. For me, it’s chocolate. Fudge would be my dad’s weakness. My son loves Skittles. My mom has a serious weakness for cinnamon rolls. It takes a lot of effort to make a full batch of cinnamon rolls and even more willpower to not eat them all. 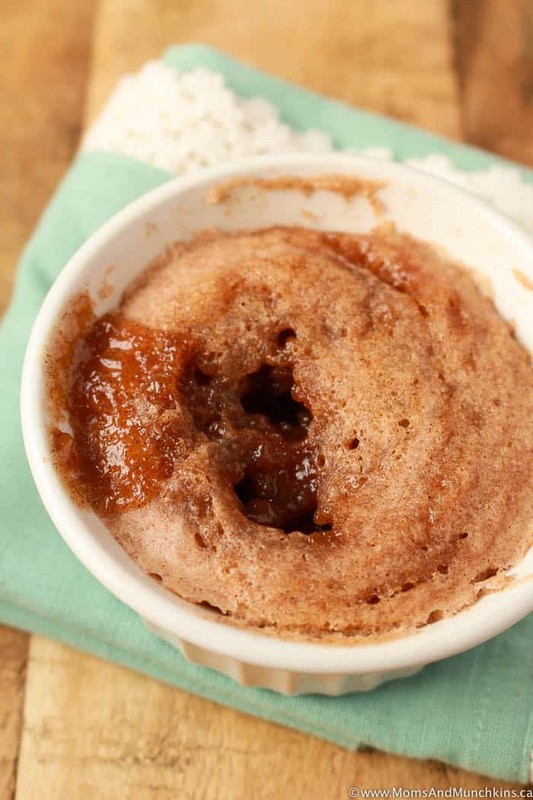 The next time you’re craving a cinnamon roll, give this Cinnamon Roll Mug Cake a try. From start to finish, it’s ready in less than 5 minutes. 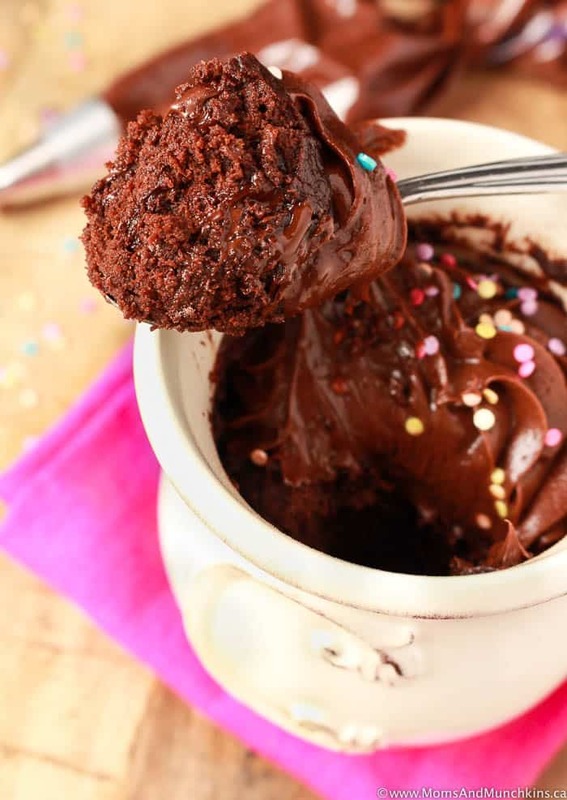 It’s a single serving dessert so there’s no sharing required (I’m a very giving person but I do not like sharing my desserts) and it’s perfect for a midnight snack. 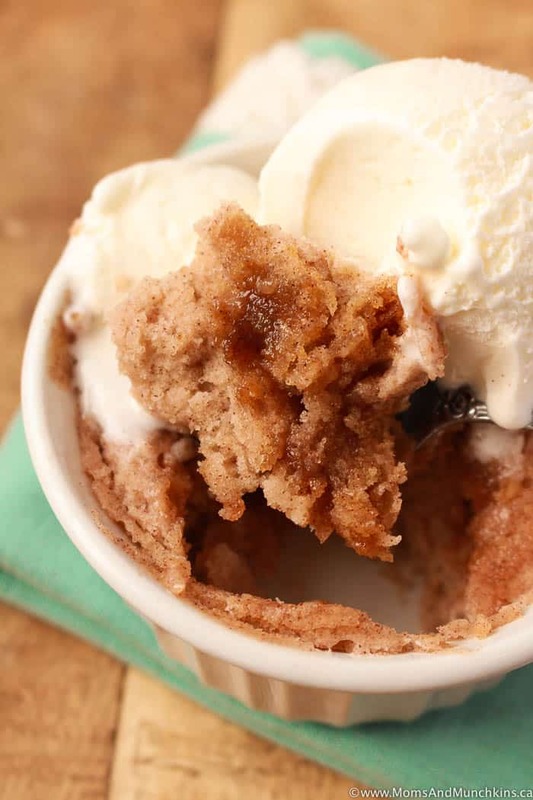 This Cinnamon Roll Mug Cake is baked in the microwave. Baking time varies depending on your microwave but I usually bake my mug cakes for a full two minutes. You can start checking it after about 70 seconds and if the edges still look wet, it needs to bake for at least 20 more seconds. In a small bowl, stir together flour, sugar, baking powder and cinnamon just until mixed. Pour in milk and vegetable oil and stir until well blended (no more lumps in the batter). Set this aside for now. In a separate small bowl, mix together the cinnamon swirl ingredients (brown sugar, cinnamon and melted butter). Stir until well mixed. Set this aside. Pour half the cake batter in a 16 ounce mug (I use this larger sized mug to prevent spills in the microwave). Pour half the cinnamon swirl mixture over top then swirl lightly with a spoon. Pour the second half of the cake batter over top. Pour the second half of the cinnamon swirl on the top and swirl lightly with a spoon. Optional - top with a scoop of vanilla ice cream. Craving chocolate? 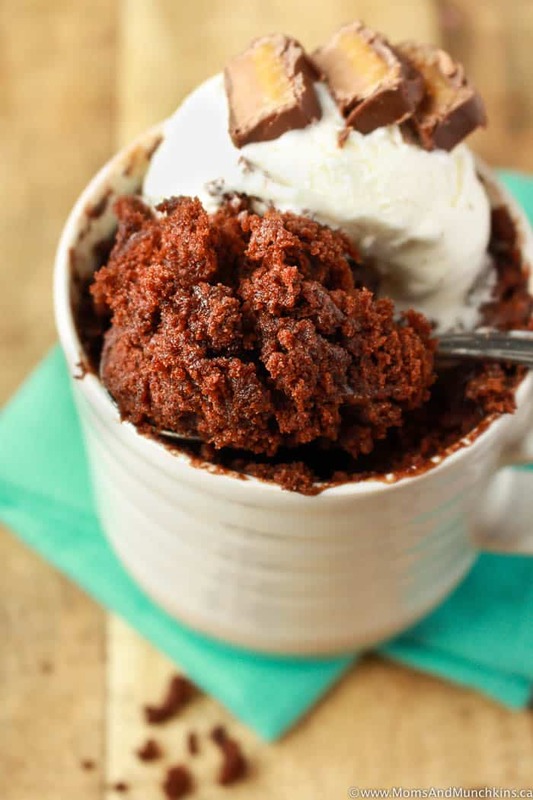 This Double Chocolate Mug Cake is delicious! 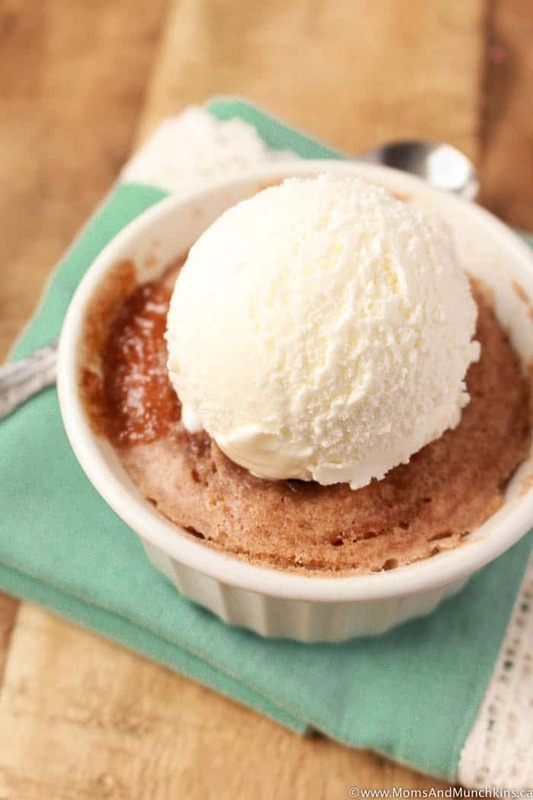 Or this Caramel Chocolate Mug Cake is my absolute favorite. Looking for a birthday cake for one? 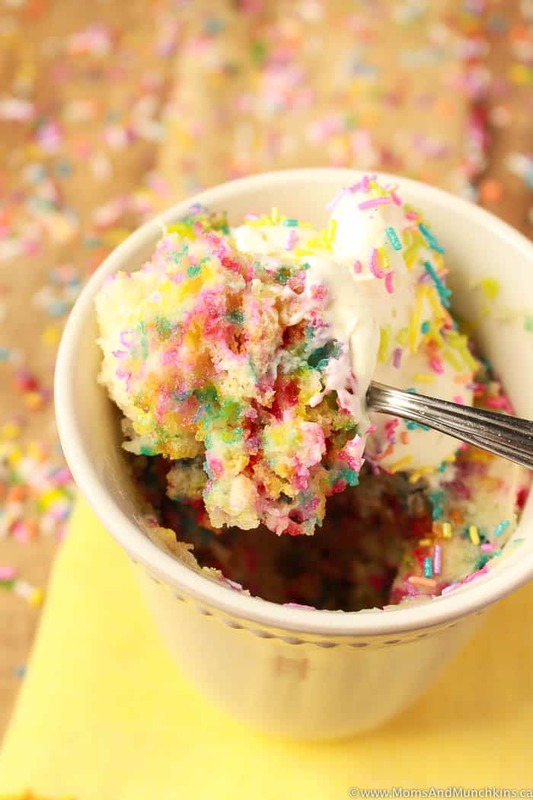 Try this Funfetti Mug Cake with extra sprinkles! For more delicious recipes, visit our Recipes page. Never miss an update by following us on Facebook, Twitter, Instagram and Pinterest. We’re always adding new ideas for home entertaining like party ideas, hosting tips, free party printables, recipes and much more!